HBO has come on board the television adaptation of His Dark Materials, joining BBC, Bad Wolf, and New Line Cinema in producing the series. HBO will be distributing the series worldwide with the exception of the UK. The series is based on Philip Pullman’s critically acclaimed trilogy: Northern Lights, The Subtle Knife, and The Amber Spyglass. 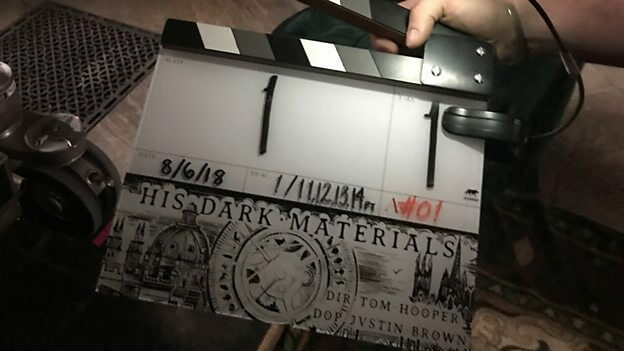 BBC previously announced His Dark Materials has been greenlit for two seasons, with the first season to consist of eight episodes. Tom Hooper (The King’s Speech, Les Miserables) is directing episodes one and two. Dawn Shadforth (Trust) will direct episode three and Otto Bathhurst (Robin Hood, Peaky Blinders) is attached to direct episodes four and five. Episode six will be directed by Euros Lyn (Doctor Who, Torchwood) and Jamie Childs (Next of Kin) is on board to direct episodes seven and eight. Philip Pullman, Tom Hooper, Dan McCulloch, Jane Tranter, Julie Gardner, Deborah Forte, Toby Emmerich, Carolyn Blackwood, Ben Irving, and Piers Wenger are executive producing. BAFTA, Tony, and Olivier Award winning screenwriter and playwright Jack Thorne (Harry Potter and the Cursed Child, This is England ’88) adapted the books and also executive produces. Dafne Keen as Lyra Belacqua, an adventure-seeking 13-year old from a world that is both like and unlike our own. We meet Lyra as an orphan, having been raised in the sanctuary of Oxford’s illustrious Jordan College. Lyra is desperate to explore with her brilliant Uncle Asriel, until the fates intervene and she ends up on a thrilling and perilous journey of her own. A natural and adept liar, Lyra learns the value of honesty and lies when she becomes the owner of an extraordinary instrument that can tell the truth. James McAvoy as Lord Asriel Belacqua, a brilliant scholar and a fearless explorer. Asriel is one of few who dare to undermine the powerful forces of Lyra’s world. His ambition is limitless and he will stop at nothing to achieve his ends. Clarke Peters as The Master of Jordan College, a man who understands politics and is Lyra’s guardian as she grows up in Oxford. Lewin Lloyd as Roger Parslow, the 12-year-old kitchen boy of Jordan College and Lyra’s best friend. Where Lyra is a natural liar, Roger is naturally honest and kind. Roger often acts as Lyra’s moral compass. Daniel Frogson as Tony Costa, the eldest son of the gyptian Ma Costa. At 15 years old, Tony’s daemon has just settled, marking him as having come of age. Tony has a gruff teenage exterior as he tries to step into adult shoes, but is also brave and kind.